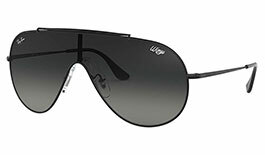 Choose from a wide range of frame materials from cutting-edge Liteforce to traditional acetate. 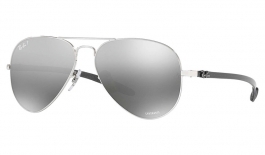 Combine them with the a range of lenses including the classic G-15 lens, optional Polarized lenses, or the new Chromance lenses for ultimate clarity. 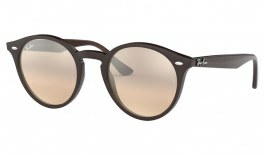 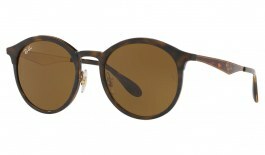 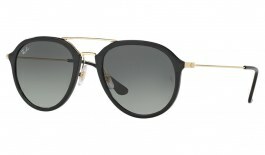 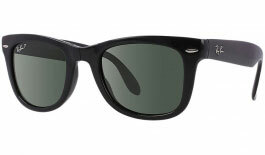 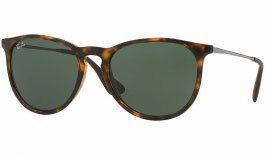 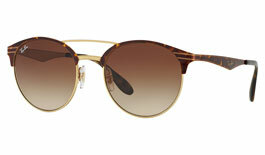 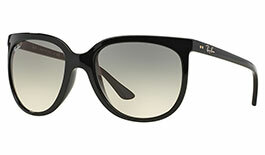 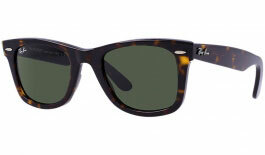 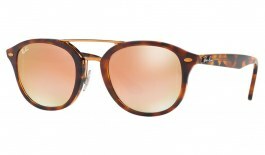 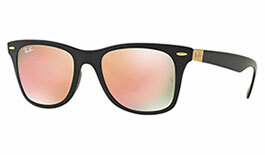 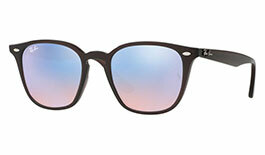 Ray-Ban are the masters of sunglass style! 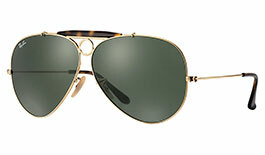 Choose from a host of iconic shapes including the Aviator, Wayfarer and Round Metal designs. 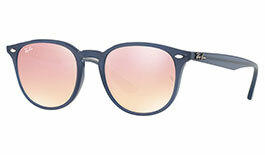 No matter your personal style, the Erika and Justin models are perfect for fresh fashion that goes with everything! 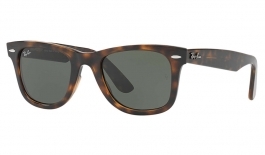 Discover some of the hottest trends in the Ray-Ban range by reading on below and browsing our product range! 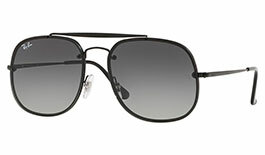 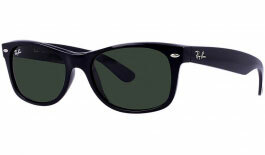 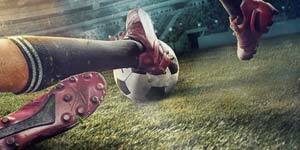 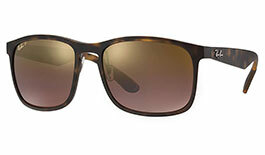 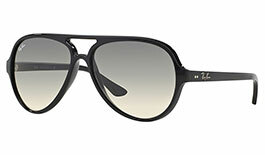 Since the early 1930’s Ray-Ban have been leading the way as the world’s leading eyewear brand. 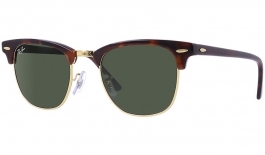 By not only offering ultimate protection from the sun’s harmful rays but by becoming trend setters with some of the most iconic frames ever made. 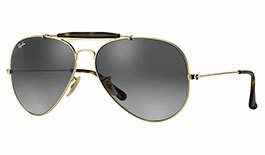 In the twilight of the Roaring Twenties, when Art Deco style led the way through the boundary-breaking Progressive Era, the United States Air Force issued a commission for sunglasses that would perform under the extreme conditions faced by their pioneering pilots. 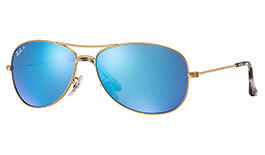 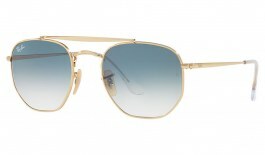 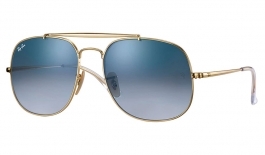 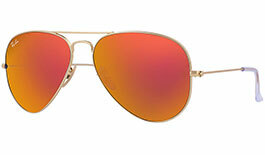 The revolutionary winning design was a gold Aviator with G15 lenses. 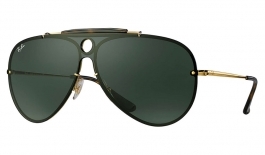 Today, the Aviator is joined by a host of other styles including the Wayfarer, Clubmaster, Shooter, Justin, Erika and Round Metal, each icons in their own right. 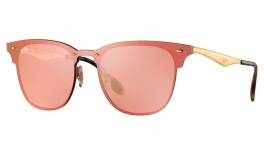 Chromance lenses fine-tune light making everyday colours clearer and brighter with maximised contrast. 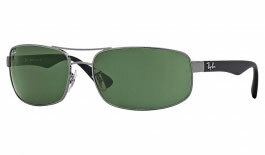 Polarizing filters within the lenses cut through bright reflections and glare for incredible visual clarity. 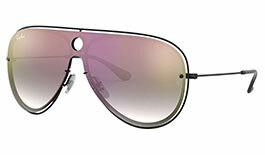 Chromance lenses come in a range of stunning mirror finishes, from purple, to blue, to silver. 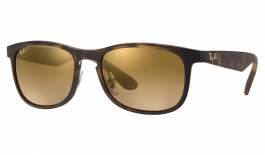 These lenses really add a striking look, complementing a variety of premium frames. 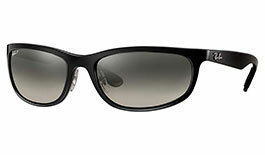 A unique six-layer anti-reflection coating helps to boost contrast, this maximises details in texture resulting in extraordinary clarity. 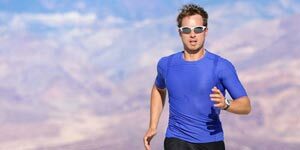 The coatings are applied to the inside of each lens to help reduce back-side reflections that can impair vision and strain the eyes. 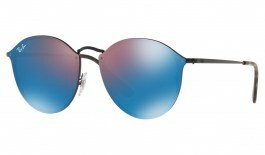 BLAZE COLLECTION: LIGHT UP YOUR STYLE! 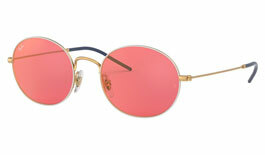 Stunning Onesie lenses form the talking point of Ray-Ban’s latest collection. 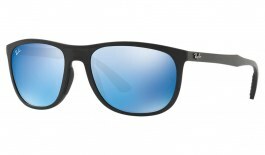 A single shield lens covers the entire frame front, turning classic styles on their head for a fusion of iconic design and cutting-edge technology that is fun, fresh and fashion-forward. 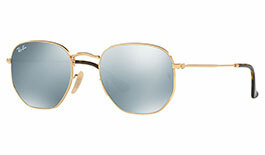 Stunning mirror finishes grace these styles to amp up the colour and hide your eyes from the world, while frames are crafted from premium metal for a quality finish. 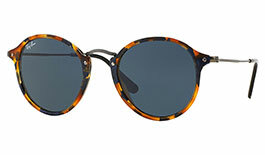 Blaze is a retro look for the daring among us. 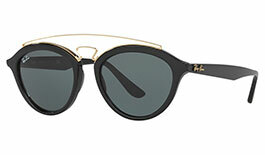 Check out some of the year’s hottest eyewear now! 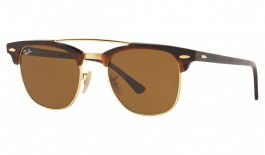 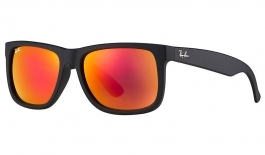 Available in the RB3576 Blaze Clubmaster and RB3581N Blaze Shooter styles. 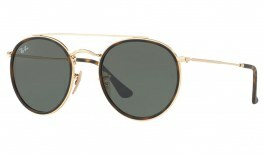 The original Ray-Ban frame. 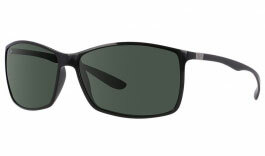 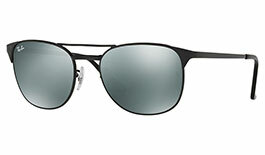 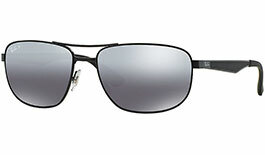 Designed for US Air Force pilots to protect their eyes from the sun’s harmful rays. 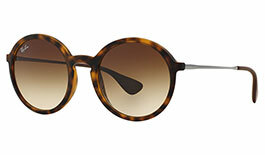 A timeless shape perfect for any style or occasion. 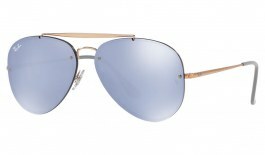 Made with a premium metal frame material. 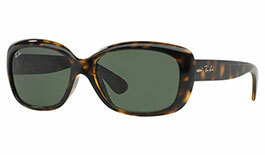 A Fifties style icon. 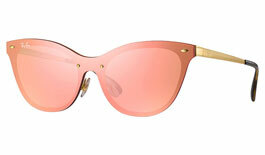 Crafted from premium acetate into an unmistakable shape. 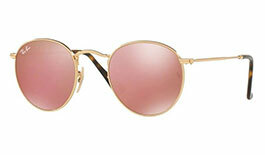 Perfect for fun in the sun, this is the style to be seen in for stars of the world of film and music. 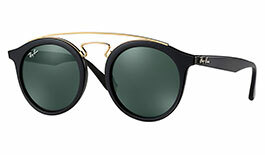 Brimming with intellectual charm, the Clubmaster’s halfrim shape flaunts sophisticated style. 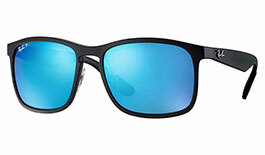 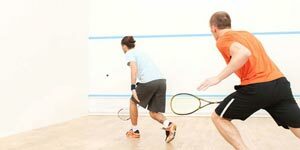 Available in a wide range of frame colours and lens tints including Flash Mirrors and Gradients. 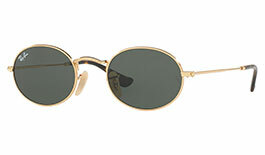 Immortalised by John Lennon, this is a retro look worn by some of the world’s biggest rock stars. 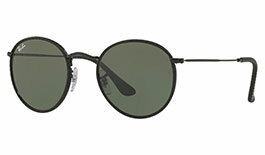 A counter-culture classic featuring rounded lenses in a premium metal frame. 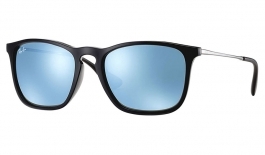 A market leader since 1937, Ray-Ban continues to evolve, fitting its iconic models with extraordinary innovative lenses that boast cutting-edge technology and color palettes. All Ray-Ban lenses block 100% of UVA, UVB and UVC rays and also give protection from harmful blue light. 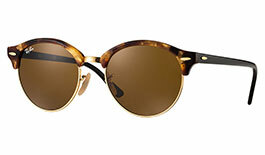 Throughout Ray-Ban's history two of their lenses have stood above all others as an industry benchmark for optical excellence. 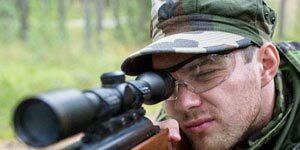 The G-15 XLT lenses combine unmatched strength, durability and UV-protection with the highest level of clarity. 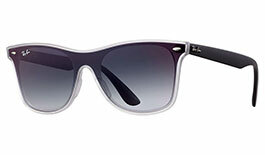 Ray-Ban's gradient lenses feature a smooth transition from a solid colour to a transparent shade of the same colour. 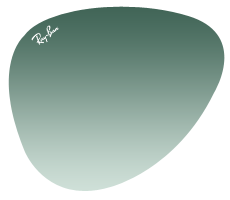 Colour styles are available in a multitude of options with shades of grey, green, brown, blue and more, giving an individual look. 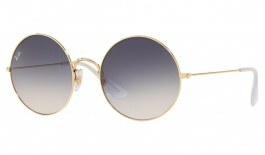 The Special category includes Mirror lenses. 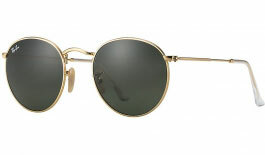 Ray-Ban's mirror coating application is achieved through an process where superheated metal oxides are fused to the lens to ensure a uniform molecular coating. 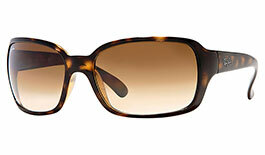 This helps to reduce glare and has a striking finish. 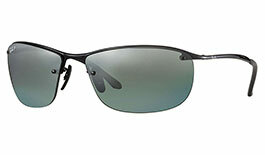 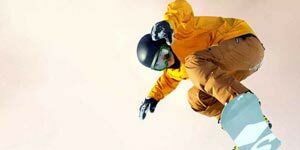 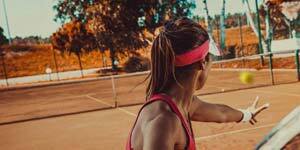 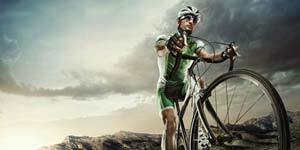 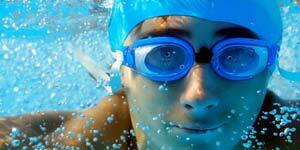 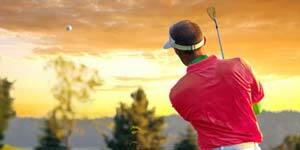 Polarised lenses prevent distracting polarised (reflected) light from reaching the eyes. 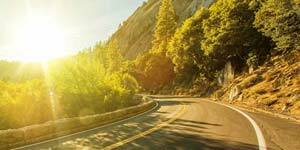 The result is a drastic reduction in the brightness of shiny surfaces such as large bodies of water and wet tarmac and maximised viewing comfort.